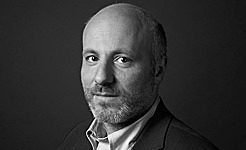 Carlo Bonini, investigative reporter for the Rome newspaper LA REPUBBLICA, broke the story about an Italian intelligence agency's involvement in forging documents saying that Iraq had tried to secure yellowcake uranium from Niger. Those documents helped the White House make the case for invading Iraq  famously with the sixteen words: "The British government has learned that Saddam Hussein recently sought significant quantities of uranium from Africa."  in President Bush's 2003 State of the Union Address. Bonini tells the convoluted tale in his book COLLUSION: INTERNATIONAL ESPIONAGE AND THE WAR ON TERROR. The forgeries have come back to haunt the administration in recent days. On April 25, 2007 the House Committee on Oversight and Government Reform voted to authorize a subpoena of Secretary of State Condoleeza Rice as part of an inquiry into the discredited information. The White House is expected to fight the subpoena, which followed a series of letters sent from the Committee Chairman Henry Waxman to the Secretary of State  find out more below. The Secretary of State has also indicated that she will not testify on grounds of national security and her position in the Executive Branch. The Committee's Web site contains a chronology of their investigation into pre-war intelligence. Carlo Bonini also broke the story of an extraordinary rendition from Milan. The Italian courts have issued indictments for 26 Americans. The collaborative project of the Center for Media and Democracy provides links to the major reporting and documents in the case. Jerry Miller, recently exonerated after 24 years in prison by DNA evidence, discusses how he remained positive amidst the most negative of circumstances.